Moms across the province are in for a treat. 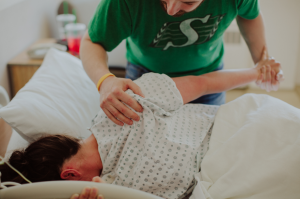 When Saskatchewan’s new provincial maternal and children’s hospital opens next year, most pregnant women will labour, deliver and recover all in the same private patient room. While the concept is not new in Canada, Jim Pattison Children’s Hospital is set to become the largest Single Room Maternal Care facility in the country. Designed to handle even the highest-risk pregnancies, the transformative birth experience will embrace family-centred care. Before, during and after the birth of their baby, women will receive care that integrates family support, education, participation and choice. With maternal care taking place all in one room, the experience will be based on her individual needs and birth plan. Maternal Services at the new Jim Pattison Children’s Hospital will be located on the third floor, which is approximately the size of two football fields. It will feature 49 maternal inpatient beds, eight labour assessment beds, eight prenatal beds, three maternal operating rooms, and a maternal outpatients department with five exam rooms and a Maternal Fetal Unit. When the doors open next year, Maternal Services at the new children’s hospital will have an anesthesiologist, obstetricians, and family medicine physicians available 24 hours a day. 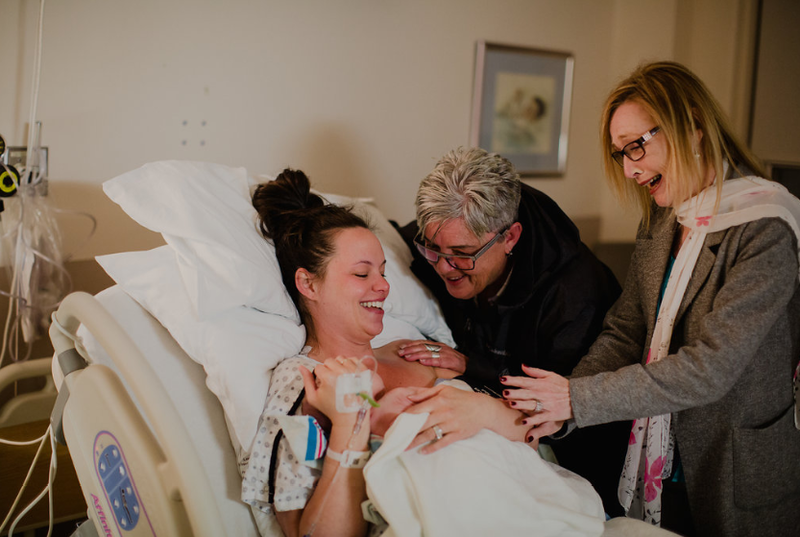 The cross-training of registered nurses is already taking place with current postpartum nurses expanding their skillsets to also provide care during labour and birth. Labour and delivery nurses are also training for postpartum care. It’s a key part in the adoption of Single Room Maternal Care. In preparation for the hospital’s opening, Maternal Services has adopted Single Room Maternal Care through quarterly trials than span over two days. When baby has needed extra-special care, parents are kept close by and included in every step of the way. The test-runs will help ensure a smooth transition into the new facility while keeping up to speed with the 5,600 babies born in Saskatoon each year.